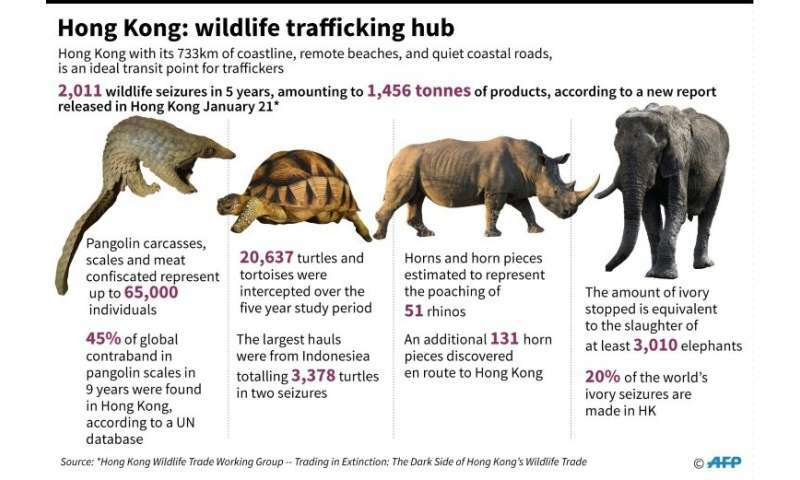 Hong Kong must do more to crack down on illegal wildlife smuggling by ending legal loopholes and lenient sentences, conservation groups said Monday, as they detailed the city's role in the lucrative trade. 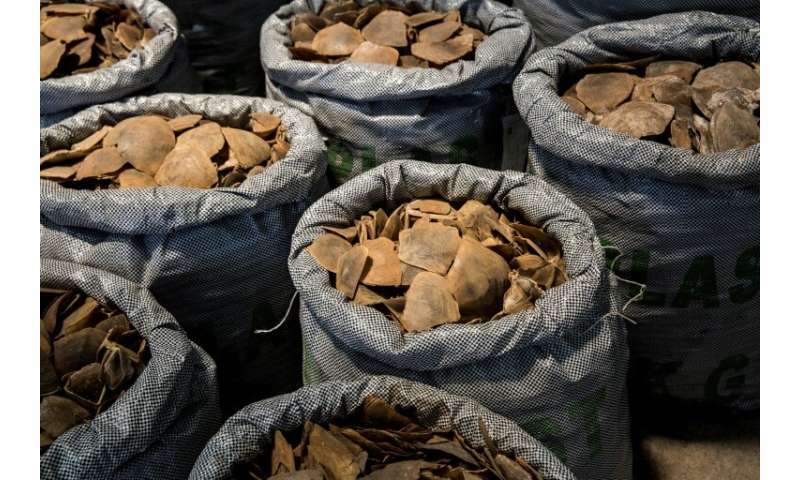 Yet authorities do not list wildlife trafficking offences under the city's organised crime legislation targeting drug traffickers and triad gangs—and the few who are caught rarely face stiff penalties, the report's authors warn. Researchers said the amount of parts seized in the city for three major trafficked species since 2013 could equate to the deaths of "3,000 elephants, 65,000 pangolins and 51 rhinoceros". The report detailed many of the ways crime gangs have snuck their quarry into the city, from so-called "ant smugglers" who arrive by commercial airplane with as much as 30 kilos of ivory sewn into their clothing, to loot hidden inside cargo ships heading to the world's fifth busiest port. The southern Chinese city has also recently increased the maximum penalties on smuggling to 10 years in jail and a HK$10 million fine.